At the Google I/O 2018 developer conference, the tech giant announced several significant updates to Google Maps including AR directions, group planning and more. 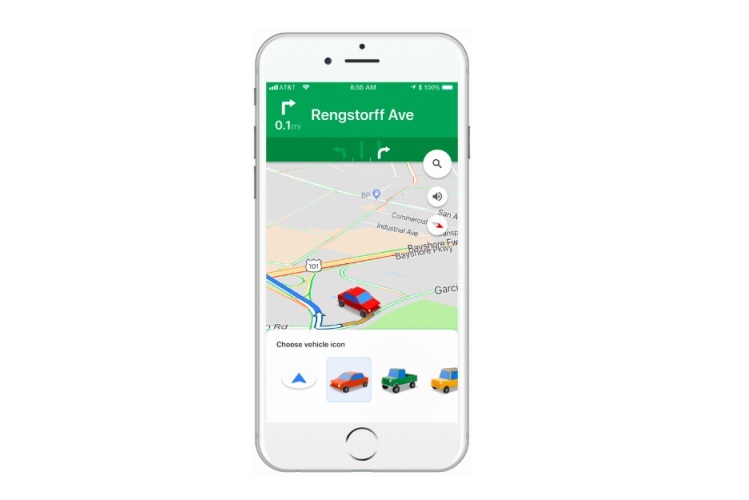 But the company is first rolling out a fun update to Maps navigation. Google has today announced that it’s making the driving experience a bit more customizable by now allowing you to swap out the bland arrowheads for three adorable cars. You can pick between a red sedan, a green pick-up truck and a yellow SUV – all of which look better than the blue arrow. This feature was first revealed earlier this month by Munish Dabas, a user experience (UX) engineer on the Google Maps team. As you can see in the GIF attached above, you can simply tap the blue arrow in the navigation mode to see a pop-up with all available car options. Pick any of the 3 attractive vehicles and make your time on the road a little more enjoyable. These tiny navigation cars are currently restricted to Google Maps on iOS and there’s no word on when or if it will come to Android. Also, wouldn’t it be awesome if Google added Maruti 800 or an autorickshaw to Google Maps in India? Tell us your thoughts about this feature in the comments below.